16 anglers supported the August mini festival. 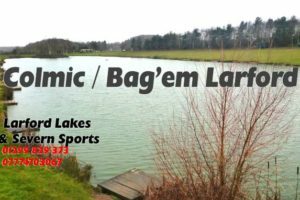 Each angler fished one day on the Match Lake and one day on the Specimen Lake. Conditions were hot and humid with a little or no breeze but fishing was outstanding. Winner of the festival was Neil Colcombe (Colmic / Bagem Larford) who weighed 218-09-00 on day one from the Match Grass bank. Neil caught fishing pole shallow and bomb & pellet. Day 2, Neil fished the Specimen lake weighing 145-02-00 to bomb & pellet and short on the pole. 2nd overall was Chris Bradney who weighed 220-05-00 on day one from the Match Lake fishing bomb & pellet. Day 2 he weighed 92-01-00 from the Specimen Lake catching 60lbs of bream & 3 carp on bomb & pellet. He also scored 4 points but a lesser overall weight. 3rd overall was Shaun McCarthy (Mossella) who weighted 144-01-00 from peg 12 on the Specimen Lake all to bomb & pellet. Day 2 he weighed 152-03-00 from the Match Lake fishing method to the island.